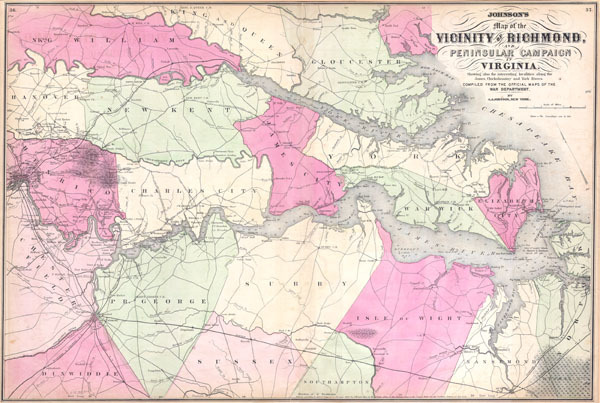 Johnson’s Map of the Vicinity of Richmond, and Peninsular Campaign in Virginia Showing also the interesting localities along the James, Chickahominy and York Rivers. Compiled from the official maps of the War Department. Fine or perfect condition. Very light discoloration on centerfold. Blank on verso.